We say this because we are able to offer an array of services that most general dentist offices do not provide, and we have spent many years practicing our dental care techniques. But, our goal is to avoid those procedures. We want to prevent your cavities. It is true that a smart diet, and good brushing and flossing habits are important in preventing decay and gum disease, but there is more. Cavities can happen for many reasons, but most dentists just treat it as if there are only two causes: lack of brushing/flossing and bad diet. This can be very frustrating for a patient who brushes, flosses, and eats a balanced diet. 1) Bacteria: There is a specific bacteria that causes cavities and it is called streptococcus mutans. It loves to eat the sugars left behind in your mouth, and it excretes acid, softening the tooth and causing decay. Can we change the bacteria? Yes. Like how probiotics for the gut are used to replenish the healthy bacteria for the gut, oral probiotics can be used to replenish the healthy bacteria in the mouth. In our thorough oral examination, if we find that your mouth has acidogenic bacteria – the bacteria that causes cavities – we will recommend an oral probiotic as part of our dental care. 2) Dry Mouth: Saliva plays a role in protecting our teeth. It’s filled with minerals that help keep our teeth strong. People with dry mouth may not have this capability. If we find that you have a dry mouth, we can prescribe medications that can increase your salivary flow. 3) Buffering capability of the mouth: Now what is that you may ask? Our saliva also does something else. Our teeth are healthy when our mouths are less acidic. Unfortunately the modern diet makes our mouths very acidic. The saliva has this ability to bring down the acidic nature of the mouth, in turn, making our teeth harder and stronger. Some people have saliva that does this faster than others. If we find that your saliva is slower in doing this, we can recommend something similar to baking soda toothpaste to help neutralize these acids. 4) Remineralization: We can reverse a cavity. Yes! But it has to be a tiny cavity and you have to keep it clean. We’ll give you creams and toothpastes with prescription grade fluoride to help you get there. And other things that make the dental care you get at Morton Dental Ranch different? – Private dental chairs with fully closing doors with light dimmers. – 48” TVs at your feet. – Blankets available for each chair. – And much more. Come see the difference at Morton Ranch Dental. 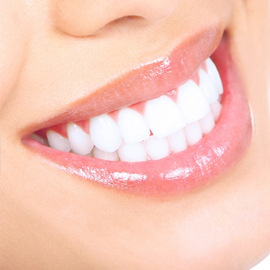 Get the best dental care in Katy, TX. Click here to schedule your appointment.